To mark International Men’s Day today, the Campaign Against Living Miserably (CALM) has launched Torch Songs, a new campaign that celebrates the power of music to lift us out of life’s low points. BBC Radio 1’s Huw Stephens will champion the campaign, which brings together top artists and music lovers to share the songs they turn to when things get tough. 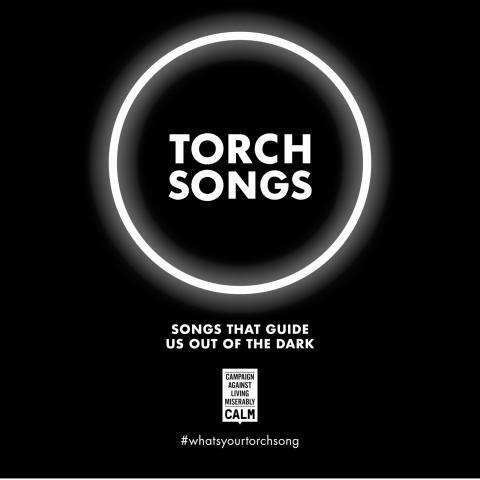 The first official Torch Songs, launching today to coincide with International Men’s Day, will include exclusive, unexpected covers from artists including Years & Years, The Vaccines, Frank Turner, Twin Atlantic, and Blaenavon. The songs go to radio and will become available on Spotify, iTunes, and YouTube. The campaign is expected to continue into 2017 as more artists release their Torch Songs. As each song launches they can be heard with unique Torch Songs visuals at www.torchsongs.co.uk and will build into an enlightening Spotify playlist.